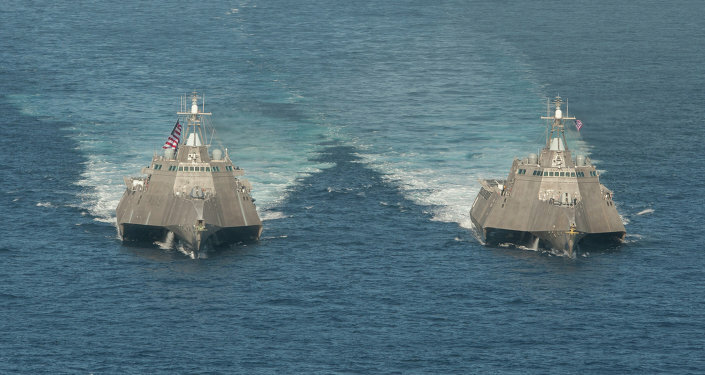 A new congressional audit has revealed that the office responsible for determining which information should be classified apparently deleted unflattering information regarding costs overruns for vessels bought under the Navy’s Littoral Combat Ship (LCS) contracts. 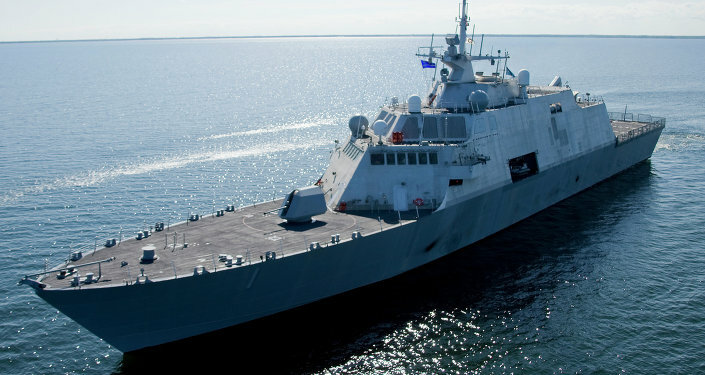 The Defense office of Prepublication and Security requested a contract examination for the USS Jackson, a product of Austal Ltd., and the Lockheed Martin-made USS Milwaukee, the first two vessels purchased for the LCS program that both launched in late 2014. The report, written by the Government Accountability Office (GAO), read, "Over 80 percent of the Navy’s shipbuilding contracts awarded over the past 10 years were fixed-price incentive (FPI). However, GAO found that half of the six selected contracts it reviewed did not document the Navy’s justification for selecting this contract type." The Pentagon "deemed the cost growth" on the ships "to be sensitive but unclassified information, which is excluded from this public report. However, the percent difference," for the vessels were "above target cost." Bloomberg quoted Mandy Smithberger, the director of military reform initiative for the Project On Government Oversight, saying, "This seems to be an overly broad reading of competition-sensitive information…Taxpayers are footing the bill for these overruns. They deserve to know the costs." Some Washington officials have been less-than-confident about the LCS vessels, as its combat-readiness was questioned under the Obama administration by two defense secretaries. Current Defense Secretary James Mattis and President Donald Trump have not said much on the matter, but it could very well factor into Trump’s stated desire to expand the naval fleet, from 272 to 350 ships. If successful, Trump’s plan would expand the Navy to a size not seen since the late 1990s. In December 2015, then-Defense Secretary Ashton Carter called for the US Navy to scale back the number of littoral ships it planned to buy and to only use one contractor to design the vessel. He authored a memo that read in part, "For the last several years, the Department of the Navy has overemphasized resources used to incrementally increase total ship numbers at the expense of critically-needed investments in areas where our adversaries are not standing still, such as strike, ship survivability, electronic warfare, and other capabilities." Carter added that "Forty LCS/FF will exceed recent historical presence levels and will provide a far more modern and capable ship than the patrol coastals, minesweepers, and frigates that they will replace." This year the Navy will request authorization to build the final dozen of 40 ships classified as ‘frigates,’ which are better-armed versions of the vessels currently in use. The Jackson and the Milwaukee were the first two in a series of 10 ships that both Lockheed and Austal are building at what are thought to be sensible prices. GAO director Michele Mackin, who authored the report, said, "Decisions about what information is sensitive are made strictly by the agencies, though we do ask them to present what we would consider as a valid rationale." She explained that the Defense office of Prepublication and Security provided a letter "with sensitivity markings indicating what information was considered official use only, or competition sensitive," Mackin said. "The discussions of LCS cost overruns were marked as such and they provided legitimate information about how such details could impact ongoing competition." An assistant to Security Review Office chief Mark Langerman signed the letter to GAO asking for the deletions on Langerman’s behalf.